In addition to my talented staff, including attorney Mark Lehman, I often find it beneficial to consult or associate with another attorney or firm if they concentrate their work in that particular type of case. In the case of medical malpractice I often associate with Kennith W. Blan, Jr. We were competitors in the Danville area for many years, but Mr. Blan (who is located out of Springfield as well as having offices in my building at 1022 North Vermilion Street in Danville) and I have determined to work together on large and complicated medical malpractice cases. In this manner the very complicated field of medical malpractice can get more attention and, together with my associate Mark Lehman, who I trained in the field of medical negligence practice over the years, you get the benefit of three good minds on the subject matter and this undoubtedly helps in achieving the very best result possible. Attorney Blan has been successfully handling personal injury, medical, and legal malpractice cases throughout the central Illinois region for more than 35 years. In addition, attorney Blan has been recognized by others in the legal profession for both the quality of his work and the integrity with which it is provided. Mr. Blan writes, lectures, and is actively involved in a number of community and professional organizations. He has been voted by his peers as a “leading Illinois attorney” and elected to the board of managers of the Illinois Trial Lawyers Association. Mr. Blan also serves the cause of protecting the rights of injured persons and preserving the rights to trial by jury as a member of the board of governors of the American Association for Justice. Based on the above, I think you can see why I would be happy and proud to be associated with him in these complicated and lengthy cases. Working within the same building allows us daily interaction to keep these cases moving in a timely manner and with the kind of aggressiveness that produces the best results. Our combination of past successes individually, and the respect shown by defense counsel for our combined abilities, makes it more likely that we will receive a reasonable offer for settlement of your case prior to trial. 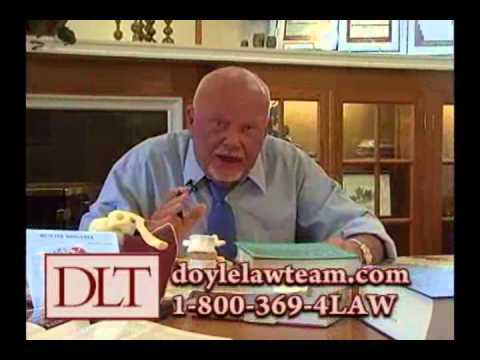 It also enhances our chance of winning, should we need to take your case through a jury trial. 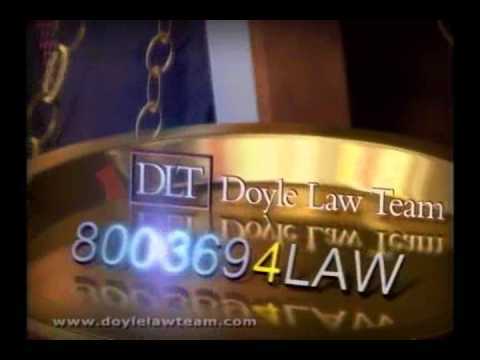 When you call the Doyle Law Team, p.c., my receptionist will transfer you to a paralegal who is uniquely qualified to take all relevant information so that we may begin an evaluation of your type of injury immediately. Thereafter, additional medical records may be ordered and a personal meeting may be arranged for further discussion and explanation of your case. At no time is there any cost or obligation for this initial process. All such cases are handled on a contingency fee basis, meaning that there is no fee until we win a recovery for you. All costs are advanced by us in the process of litigating your claim. If we accept your case for handling, an offered contract will be carefully explained to you. Whether the initial meeting is with me, Ken Blan or Mark Lehman, (and it is often a combination), a friendly and casual atmosphere is always maintained at my offices. We will readily attempt to answer all of your questions. At no point are you under pressure to make a decision immediately. 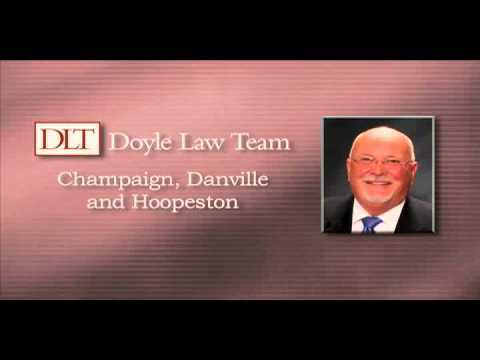 So if you have a medical malpractice claim for yourself, or a loved one, and would like to put our trial experience and commitment to quality on your side, please contact us to arrange a meeting in our Danville, Champaign or Hoopeston offices.